Get the Galaxy you love. Now yours with Samsung financing. Log in to your Samsung Account. Log in to complete your purchase, track your order, register your products and earn rewards on qualifying purchases. Learn more. Don't have a Samsung Account? Create one here. If you are a mobile dealer creating an account for the first time, click here. Check your email to validate your new password and access your account. Unable to find the email? Password is case-sensitive and Must be at least 8 characters and use a combination of letters and numbers. Sign up for a Samsung Account. Sign up for a Samsung Account today, for easy product registration, enjoy perks like exclusive offers, a comprehensive rewards program and much more. Learn more. Earn rewards for the things you do every day. Connect your Samsung appliances, TVs and more. Get access to our best offers and giveaways. Protect your data and access it from any device. Already have a Samsung Account? Log in here. Your date of birth is used to verify your identity if you lose your E-mail or password. You have successfully registered to Samsung's Friends and Family Program. Enjoy special pricing and benefits exclusively made for Samsung friends and family members. Sorry, you can't be added to Samsung's Friends and Family Program as you're already a part of discount program. The most up to date Samsung product information, product pricing and individual promotional offers. Products purchased from authorized Samsung resellers are eligible for Samsung’s 1 year limited warranty coverage in the event the product may require warranty service. Knowledge that the products were purchased by trusted resellers directly from Samsung Electronics or an authorized Samsung distributor. Knowledge that the products have been handled in a safe and legal manner. Highly reduced risk of counterfeit products, or products that have been opened or tampered with prior to purchase. Product and technical support for your purchase from an authorized Samsung service center. Authorized resellers receive continuous product and service updates from Samsung’s reseller support teams. Please Note: Any Samsung product purchased from an unauthorized Samsung reseller may not be eligible for the benefits above, including the manufacturer’s 1 year limited warranty. Please help us prohibit questionable business practices and any misrepresentation of Samsung products by unauthorized resellers and report suspected practices to 1-800-SAMSUNG (1-800-726-7864). Samsung appreciates your help in upholding the brand and value of your Samsung merchandise. *Exclusion apply. Order must be a minimumm of $100 or more. 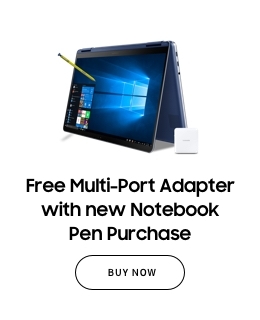 Offer valid only for new Samsung.com customers. Must sign up for emails by 11/12/16. Promo code must be used by 11/19. Check your inbox for a discount code for 10% off your first purchase. 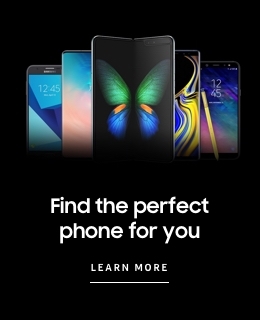 Looks like you are already a Samsung.com subscriber and aren't eligible for this one time offer.